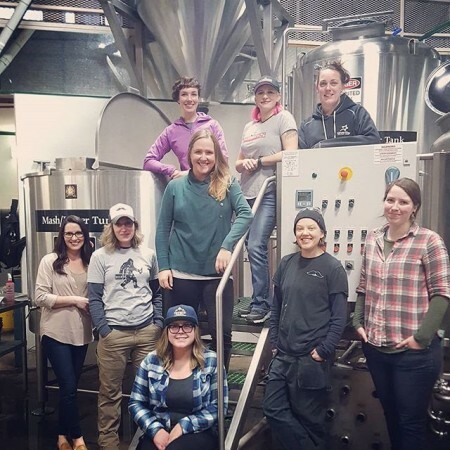 QUESNEL, BC – Barkerville Brewing has announced the release of the result of its participation in the 2018 edition of International Women’s Collaboration Brew Day (ICWBD). Hurdy Gurdy Hibiscus Pale Ale (4.6% abv, 33 IBU) was brewed on March 8th – which was also International Women’s Day – with hibiscus used in the brew to align with this year’s IWCBD theme of “Unite Exotic”. Light and slightly tart, this rose-coloured pale ale is bursting with juicy grapefruit, balanced with a subtle hint of strawberry on the finish. Low in alcohol – yet high in delight – this is the perfect summer patio beverage. Hurdy Gurdy Hibiscus Pale Ale is available now in 650 ml bottles. Partial proceeds will be donated to the Pink Boots Society to provide educational scholarships and support to women in the brewing industry.